After many years of campaigning by local activists, the Sterlite copper plant in the Indian state of Tamil Nadu has been permanently shut down by local officials, days after 13 people were killed by police gun fire, and over 100 injured during protests that turned violent on 23rd May. A new report from the Transnational Institute exposes the huge impact of the European Union's “border externalisation” policies, the companies that profit, and the huge numbers of people impacted. Expanding the Fortress explores how migration control has become a major part of the EU's foreign relations, with externalisation policies requiring neighbours to “act as Europe's border guards”. In May, Romania hosted the Black Sea Defence and Aerospace Exhibition (BDSA), which saw 270 companies from 25 different countries exhibit to delegations from Saudi Arabia, Bulgaria, China, Croatia, Egypt, Lebanon, Lithuania, Pakistan, Portugal and Vietnam. 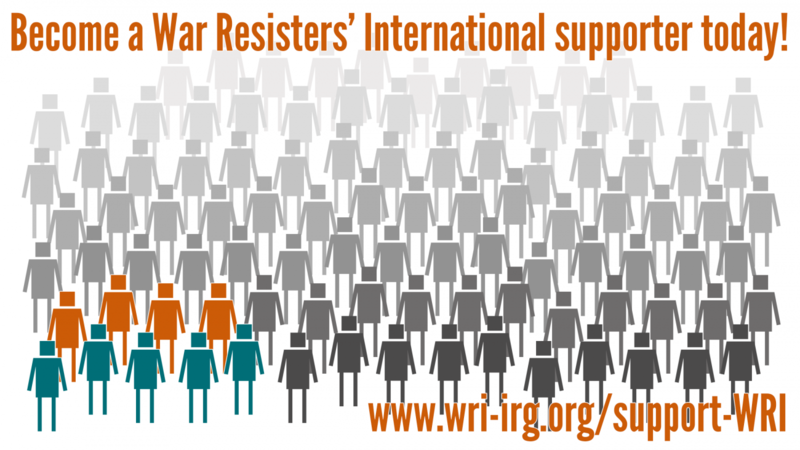 War Profiteers News is WRI's monthly email bulletin about the arms industry and other types of war profiteering. April's edition has just been released, and covers stories about “weapons inspectors” visiting a British missile company, legal proceedings against an Italian arms company and officials response for arms exports licensing, and a profile of a Belgian arms company called CMI Defence. A coalition of human rights organisations from Germany, Italy and Yemen have begun a legal action against a European arms manufacturer and officials in Italy. On Monday 9th April ‘The People’s Weapons Inspectors’ blocked the gates of arms manufacturer Roxel in the UK, and attempted to inspect the site. The inspectors believe that the site is supplying weapons components that could be used by the Saudi Arabian military to commit war crimes against the people of Yemen. CMI (“Cockerill Maintenance & Ingénierie”) Defence is a Belgian company, building a wide range of artillery systems for light and medium armoured vehicles, as well as related services and training, including simulation systems, maintenance and repair, and upgrades.